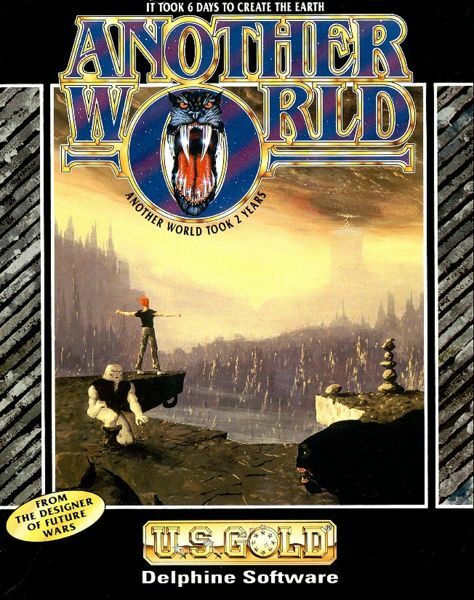 Another World is a cinematic action game following the adventures of scientist Lester Knight who gets transported to an unknown planet when a freak accident occurs during a particle-acceleration experiment. Lester must use his wits and the help of an alien companion to escape capture in a strange and dangerous world. Just staying alive is the challenge here, as there are many ways to die in this other world, whether from a gun fight, a rockslide, or even just the barb of a poisonous slug. The cinematic presentation of this game makes it unique and immersive, while the survival adventure playstyle makes it engaging and fun. If you haven't played this game, do yourself a favor and give it a try, and don't let the challenge discourage you! Afterall, it's a harsh world...it's Another World! Now you can add videos, screenshots, or other images (cover scans, disc scans, etc.) for Another World to Emuparadise. Do it now!